Concrete work ("cement" work) can be satisfying ​when you step back and behold a finished construction project that has turned out well. But concrete work can also be frustrating for beginners who "take the plunge" without adequate preparation. In the following tutorials, I discuss concrete work tips that will help beginners' DIY construction projects go more smoothly. First a bit of terminology, for the sticklers out there. 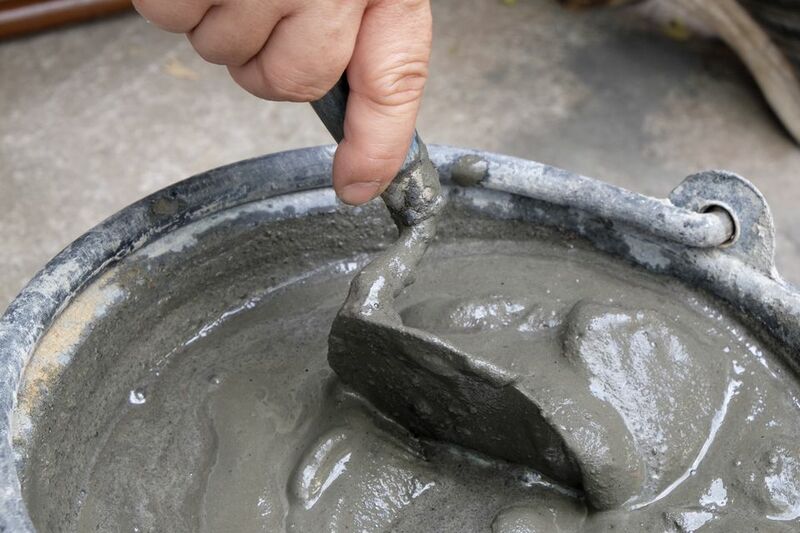 Although "concrete" and "cement" are used interchangeably by many do-it-yourselfers, there is, in fact, a difference between concrete and cement ("mortar" is part of the "mix," too). Essentially, it is concrete that is the actual building material. Cement is merely an ingredient in concrete: it is what binds the other ingredients (namely, aggregate and sand) together. So, while it is a critically important element of concrete, "cement" is not synonymous with "concrete." Typically, when people say that they need to go out and buy "cement" for a DIY project, what they really mean is "concrete."